Farsightedness, also known as Hyperopia, is a common type of refractive error. Being farsighted means while you can see things in the distance clearly, objects up close are blurry. About 20% of people in the United States experience Hyperopia. People who are farsighted can obtain sharp vision at near with the use of prescription glasses or contacts. Nearsightedness is also known as myopia and is the most common type of refractive error. If you are nearsighted, you can see things close to you clearly, but objects in the distance are blurred. About 30% of the people in the United States are nearsighted. Prescription glasses and contacts can provide clear vision at distance for those who have myopia. Astigmatism is a refractive error that causes some degree of blurriness at all distances. Many people who are nearsighted or farsighted may also have astigmatism while others have only astigmatism. It is caused by an irregularly shaped cornea. Instead of being a perfect dome (like a basketball), a cornea with astigmatism has an elliptical shape, more like a football. This causes light passing through the cornea to focus on multiple points on the retina instead of one, making it impossible for the eye to focus on a clear image. Depending on the amount of astigmatism, the blur could be mild or severe, and some may even see ghosting or double images. Most people with astigmatism are able to achieve clear vision with prescription glasses or contacts. Eventually almost all of us will lose some of our ability to focus on near objects and small detail. When this happens, it’s called Presbyopia. Presbyopia is why most people develop the need for reading glasses or bifocals. Presbyopia is often confused with farsightedness because the two conditions share the inability to focus clearly on near objects, but they are not the same. Presbyopia commonly occurs in a person’s mid-40’s when the lens thickens and hardens as part of the natural aging process. 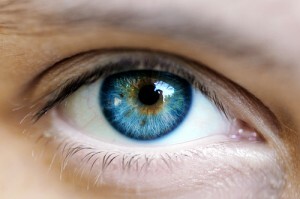 The muscles of the eye can no longer change the shape of the lens to focus on near objects. Farshightedness is caused by flatness of the cornea or by the shape of the eye itself and occurs at any age. Most people who develop presbyopia wear reading glasses, bifocals or multifocal contact lenses to read and see small detail. Cataracts are the clouding of the eye’s natural lens. Dr. Tu can confirm for you if you are developing cataracts, but there are symptoms to watch for. In the early stages you may notice that you need a stronger glasses or contact lens prescription, brighter lighting, or a magnifying glass to compensate for the change in your vision. Later you may develop other symptoms of cataracts such as blur or dimness, faded or dull colors, poor vision in low light or nighttime glare, halos or starbursts. The correction for Cataracts is to have the cloudy lens removed. There are a lot of options in Cataract surgery today and Dr.Tu can refer you to the specialist who will help you make the right decisions for you. In many cases, yes! Laser technology has given us the ability to correct many refractive errors. With new developments in Lasik surgery and Cataract lens replacement surgeries there are several options that might work for you. Dry eye syndrome is a common condition that affects milions of Americans – women more often then men. In some instances it is characteriaed by dry, irritated eyes due to a lack of lubricating tears. Surprisingly, it can also lead to excessively watery eyes due to tears lacking the proper balance of mucous, water and oil to coat the eyes properly. Chronic dry eye can lead to damage of the eye’s surface, an increased risk of eye infections and eventually, the inability to produce tears. Left untreated, severe forms of dry eye can even damage your vision. Sypmtoms of dry eyes may include burning and stinging. A foreign body sensation, like sand being in the eye, is often encountered. Vision can be blurred. Reflex tearing may be triggered causing excessibely watery eyes. Sometimes, redness of the eye is experienced. When looking in a mirror, the eyes may seem to have lost their normal clearness and luster. Sunny, dry or windy weather, heaters, air conditioners, fans and arid high altitudes increas the evaporation of tears from the surface of your eyes. You may experience dry eye symptoms while viewing television, computer screens or while reading. If you have too much tear drainage, you may experience dry eye symptoms and related congestion of the nose, throat and sinuses. Contact lens wear increases tear evaporation and related dry eye symptoms. Dryness may result in protein deposits on the lens, eye irritation, pain, infection or sensitivity to contact lens solutions. Dry eye symptoms are the number one reason people stop wearing contact lenses. Tear production gradually decreases with age. At age 65 the tear glands produce about 40% of the lubricating tears they produced at age 18. Decreased tear production may cause eye irritation and excess tearing or watery eyes. Some medications such as decongestants, antihistamines, oral contraceptives, tranquilizers and diuretics, may reduce tear production. Common treatment of dry eye syndrome includes the use of lubricating eye drops and ointments. Prescription treatment options are available. Special eyewear such as moisturizing eye masks have been found effective. Temporary plugs in the tear drain to allow the eyes time to gain full use of the lubricating tears before they are drained away from the eye is another possible treatment. If you are experiencing dry eye symptoms, talk with Dr. Tu about what treatment might be most effective for you.